Visit this blog created by another Zazzler. 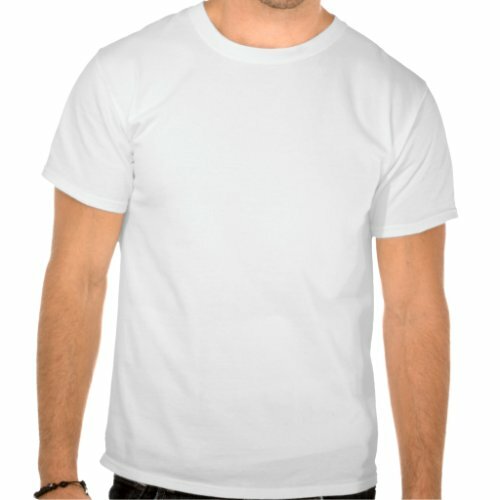 Enter your name and email address for a chance to win a $25 gift certificate to any Zazzle store. Zazzle has an enormous selection of artists; everything from scary cartoons to nature photography to fractal art. I love to browse other shops just to be inspired and amazed at the creativity out there. If you win, you’ll get the chance to sample something yourself. So go submit your name! I went to lunch with the wife of a friend, to celebrate the 26th-year anniversary of my becoming a vegetarian. Thanksgiving Day, 2003 was the last time I ate meat. I had my last fix of turkey and went, well, cold turkey after that, and have never looked back. I did at one point try a bite of chicken (I think it was chicken katsu, a Japanese breaded cutlet, which is served with a spicy ketchup-like sauce.) I expected the taste would leave me nostalgic and wanting to return to my carnivorous ways. Instead, the flesh was rubbery and tough, and it tasted disgusting. I chewed a few times and spit it out. Twenty six years is a long time to not eat meat, and I think one reason people think they could never make the switch to a plant-based diet is because their idea of what vegetarians eat consists of a lot of salad, tofu, beans, and bland, tasteless food. I vow that the complete opposite is true. The food I love to eat is sometimes complex in flavor, with unusual combinations of ingredients. Other times, I opt for basic, simple preparations that allow the flavors of the food to shine. A favorite meal is rice, raw tofu with shoyu (soy sauce), and homemade kimchi (Korean pickled vegetables.) One of my favorite (and my dog’s, too) vegetable preparations is sauteed cabbage with a touch of garlic. I love introducing non-vegetarians to my food, because it challenges their perceptions of what vegetarian and vegan diets are like. So to have lunch with a friend, an omnivore, who had decided on this day, to try to have a vegetarian meal, was meaningful. Unfortunately, the food left a lot to be desired. We went to Cafe Pandau, off Thapae Road, in Chiang Mai, Thailand, because it was near her working place, on a peaceful side street, and the owner was a friend of her boss. The interior was brightly lit, and I was happy to see brochures, artwork, and products for sale that celebrated organic foods. The furniture was solid wood, and there were beautiful woven palm mats on the tables as placemats. I decided on the Pumpkin Croquettes With Plum Sauce, which I think cost 180 baht (about $5.80 U.S.). I was hoping the plum sauce would be an interesting combination showcasing umeboshi plums, since there was a jar of umeboshi on the table next to me, and the owner is Japanese. Unfortunately, it had no flavor and was just a congealed, semi-transparent, tepid sauce with flecks of reddish pink in it. The flavor of the croquettes was good, like kabocha pumpkin, rich and sweet, but the texture was firm mush. There was no crusty exterior or anything in the rest of the dish to contrast with the soft texture. It was topped with vegetables, such as carrots, shredded zucchini, and thinly sliced okra–more slime, which didn’t bother me or my friend, but which can be a turn-off to some people. The sauce on top was rather strange and tasted like peanuts, chilies, and something rather unpleasant, that I couldn’t figure out, which gave it an almost rotten flavor. Miso, perhaps? The tofu cutlet itself was extremely firm and completely lacking the somewhat metallic and borderline sour flavor that a lot of tofu has, since it tends to sit around at the store for a couple of days before it gets purchased and consumed here. In Thailand, tofu is sold fresh, floating in coolers with water, unrefrigerated. Most people make a daily foray to the neighborhood market to buy their produce and proteins the same day they cook it, a throwback to the days before refrigeration. It makes for healthier food, since less of the nutrients are lost by long transport and sitting in warehouses and in stores, like much of the food does in our country. At any rate, I could see why the tofu was one of the best-selling items on the menu. I wish it had been served with a more flattering complement of sauce and vegetables, however, something possibly more inspired…or more simple, to allow the tofu to take center stage. The food took a very long time to get to us. We were on her lunch break from work, and it took more than an hour to get it and eat it, which was puzzling to me, since all of it was at room temperature. Nothing was hot–the cutlet, the sauces, the croquettes–, and the lettuce leaf and carrot garnishes were not cold, so it’s not like someone was busy cooking it all in the kitchen out of sight. Also, they weren’t busy. There were two other people at another table, and they weren’t even eating anything…from the sound of things, it was the owner and someone else, who were discussing and looking at embroidery, weaving, and textiles from examples the owner had and that were hung up on the walls. I convinced my friend to try rooibos tea (55 baht, about $1.75) from South Africa, something I drink all the time at home. She seemed to enjoy its different, aromatic flavor, which is difficult to describe. I told her I usually drink it with mint, ginger, and lemongrass. I absolutely had to try the organic chocolate (about 80 baht, iced, $2.40), the first and only chocolate I had had the entire two-week trip! Chocoholic that I am, I am a bit of a snob when it comes to chocolate and didn’t bother–although it was mighty tempting–to eat the M and M’s or Milky Way bars for sale in all the mini mart-type shops that I saw. I wanted good quality, dark chocolate, or nothing at all, and I never found any. The chocolate was hard, in little crumbly bits, once I got to the bottom of my glass, but otherwise, I loved it, fake whipped-cream-topping stuff on top and all! Overall, I was glad to be eating organic food, but I was disappointed with the meal and would not recommend the place for flavor or excitement, at least, not judging from what we ate. It’s too bad, because this ironically, probably reinforced my friend’s idea of vegetarian food being bland and boring. I promised her that when she comes to Hawaii in the near future, I will have her, her husband, and a few choice friends over for a dinner party, and I will cook for her and show her how delicious vegetarian food can be. I better go practice making that Pad Thai! The shirt has been featured on The Funniest T-shirts on the Net! As always, you can put the design on other styles and colors of shirts by selecting what you want, and the size, in the Zazzle window to the right of the product when you view it. You may be familiar with the nutritional value of kale greens. They are a very good source of Vitamins A, B6, C and K, as well as minerals calcium, potassium, copper and manganese. Also included are other B vitamins, iron, and fiber. You might just love it for its robust flavor. Whether you use kale leaves in stir fries, kale lentil soup, or kale chips, you can express your love for this versatile, healthy vegetable with this kale-loving shirt. Makes a great gift for a vegetarian or vegan, organic farmer or produce lover. Remember, you can put this design on any size or style of shirt, including tank tops, hooded sweatshirts, or kids shirts. The Zazzle design tool gives you hundreds of options to choose from. If you are thinking of sending customized photo cards this year for the holidays, I have several designs to choose from. 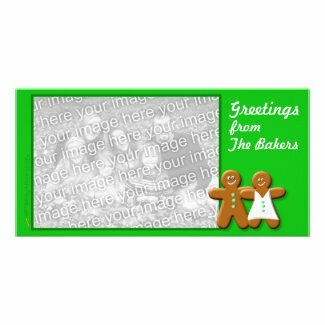 This photo card template is green with a gingerbread man and gingerbread woman. Add your own photo and name to the greeting to personalize it. I’ve set it up so you just type your name in the field provided, and it will replace “The Bakers” with whatever you type. Click “change” under the image, and you can upload a photo from your computer to replace the sample already there. Find other customizable photo cards at my Zazzle store.